petition: Tell Vogue Magazine: Being LGBT Isn't a "Phase"! Tell Vogue Magazine: Being LGBT Isn't a "Phase"! But instead of the praising Cara for her honesty and holding her up as a role model for the LGBT community, the author of the piece, Rob Haskell, wrote this: "Her parents seem to think girls are just a phase for Cara, and they may be correct." He goes on to suggest that she is only dating women due to a troubled relationship to her mother and urges her during the interview to learn to “trust men.” The idea that queer women only form relationships with other women as a result of childhood trauma is a harmful (and false) stereotype that lesbian and bisexual women have been combating for decades. How could Vogue’s editorial staff greenlight this article and publish it without anyone raising concerns about this dismissive and demeaning language? As a bisexual woman myself, I’ve experienced hurtful comments like this many times. People are quick to assume queer women’s identities are a “phase” and to refuse to recognize the important relationships in their lives -- an attitude which can cause depression, result in families rejecting their daughters (or forcing them into abusive conversion “therapy”), and even put young women at risk of suicide. 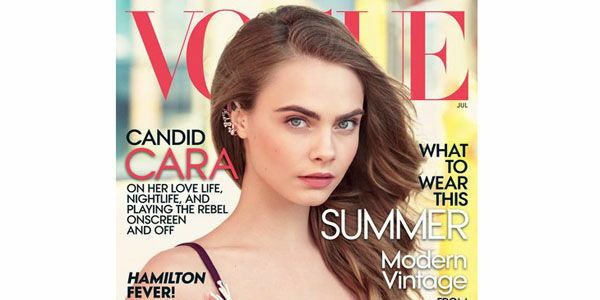 Vogue should have taken this opportunity to combat negative stereotypes, not reinforce them. We should be applauding Cara for coming out as queer, and being open about her relationships with men and women. If you agree, please sign this petition to demand Vogue magazine issue an apology to the LGBT community for publishing this insensitive and offensive interview. Tell Vogue that being LGBT isn’t a phase!